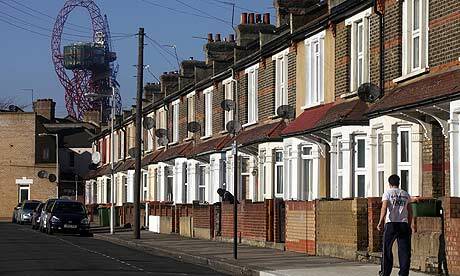 More people are living in temporary accommodation in the borough than anywhere else in London. Homelessness data from the Office for National Statistics show 3,956 Newham households were resident in temporary shelter between April 2015 and March 2016. The figures – the most up-to-date available – also reveal 2,448 households were deemed eligible for action under the Housing Acts, the highest amount in London and second-highest in England after Birmingham. Newham also had the second-highest number of households accepted as homeless and in priority need – 1,345 – again behind only Birmingham. Of the households living in temporary accommodation, 79 were in bed and breakfasts, 27 in hostels, 127 in local or housing authority stock, 1,690 in leased private sector property and 2,033 in other properties. Also included is the ethnicity of homeless households, with 474 black or black British, 396 Asian or Asian British and 314 white. Yep. Tackling the housing crisis by charging £1,500 a month for a two-bed flat in Stratford. A Freedom of Information request has revealed that between January 2011 and May 2015 Newham council sold 501 properties under Right to Buy legislation. These properties had a book value of almost £82 million, but due to statutory discounts the council received just £42 million. Analysis of the data shows that the average value of each home sold was £163,224 and the average discount was £79,461, leaving Newham with receipts of just £83,763 per sale. Of course, the council can rightly point out that it had no choice but to sell these homes – ‘right to buy’ is the law. But it can’t escape responsibility for other policies that are reducing the stock of social homes in the borough – for example it’s own NewShare scheme to sell off empty council houses on a shared ownership basis and its decision to keep hundreds of properties on the Carpenters Estate empty. Plus, of course, its repeated failure to enforce its own targets for affordable homes in new developments. With the Tory government determined to expand ‘right to buy’ to housing associations it more vital than ever that the stock of affordable and social housing is increased. Newham has to do everything it can to make sure this happens.